Bombshell conclusion – new peer reviewed analysis: "worldwide-temperature increase has not produced acceleration of global sea level over the past 100 years" | Watts Up With That? Bombshell conclusion – new peer reviewed analysis: "worldwide-temperature increase has not produced acceleration of global sea level over the past 100 years"
The paper is currently in press at the Journal of Coastal Research and is provided with open access to the full publication. The results are stunning for their contradiction to AGW theories which suggest global warming would accelerate sea level rise during the last century. We analyzed the complete records of 57 U.S. tide gauges that had average record lengths of 82 years and records from1930 to 2010 for 25 gauges, and we obtained small decelerations of 20.0014 and20.0123 mm/y2, respectively. We obtained similar decelerations using worldwide-gauge records in the original data set of Church andWhite (2006) and a 2009 revision (for the periods of 1930–2001 and 1930–2007) and by extending Douglas’s (1992) analyses of worldwide gauges by 25 years. The extension of the Douglas (1992) data from 1905 to 1985 for 25 years to 2010 included the period from 1993 to 2010 when satellite altimeters recorded a sea-level trend greater than that of the 20th century, yet the addition of the 25 years resulted in a slightly greater deceleration. Our analyses do not indicate acceleration in sea level in U.S. tide gauge records during the 20th century. Instead, for each time period we consider, the records show small decelerations that are consistent with a number of earlier studies of worldwide-gauge records. The decelerations that we obtain are opposite in sign and one to two orders of magnitude less than the +0.07 to +0.28 mm/y2 accelerations that are required to reach sea levels predicted for 2100 by Vermeer and Rahmsdorf (2009), Jevrejeva, Moore, and Grinsted (2010), and Grinsted, Moore, and Jevrejeva (2010). Bindoff et al. (2007) note an increase in worldwide temperature from 1906 to 2005 of 0.74uC. It is essential that investigations continue to address why this worldwide-temperature increase has not produced acceleration of global sea level over the past 100 years, and indeed why global sea level has possibly decelerated for at least the last 80 years. Absolutely, because it might indicate that the temperature record is ‘inaccurate’ due to UHI effect, data adjustment, incorrectly read temperature or a flaw in the analysis, in this paper. The truth will out, often from unexpected sources. Even the IPCC kind of agrees. Even methane rise seems to be flattening. This kind of research makes Rajendra Pachauri look like an even bigger fool. I wonder if there is anything known as accountability in this business? IPCC sounds to me like a person who cried wolf too many times. Its credibility is totally shot. Why would sea levels rise alarmingly (as people have been claiming) if they have DECELERATED even as CO2 has increased? I don’t have the time to research all these issues, but the questions being raised are just too many and these highly paid bureaucrats and “scientists” need to be held to account. Their screaming over the rooftops is costing the world an arm and a leg. There’s a Journal of Coastal Research? April 1 isn’t far away. Be careful! They call us deniers but the reality is slowly dawning on them. Why do you think they ditched “Global Warming” and replaced it with “Climate Change.” Here are some frank admissions. This is a slow motion trainwreck in the making. Judith Curry got out in time. The photograph of the mean sea level in 1841 confirms this “bombshell”conclusion. From the late John L. Daly’s website: “Still waiting for the Greenhouse”. Now hang on. Weren’t we told that wind shear was a better thermometer than a thermometer? Surely that goes for tide gauges too? On the subject of sea level, the University of Colorado sea level people have not updated the data on their site. The last data point is 2010.7415 which is in July last year, over seven months ago. Perhaps the data since then is inconvenient, or perhaps the Colorado people have just lost interest. Could someone else please get the Jason data and make it publicly available. The conclusions from these researchers would indicate that the world’s temperature has not shown statistically-significant warming for the period the sudy encompasses. Cool, it’s NOT worse than we thought! Can someone define acceleration and deceleration for me? I assume acceleration to be an increase in the rate of RISE and deceleration a lowering in the rate of RISE. Both indicate a continuing RISE but the above research shows a diminishing rate. Am I correct in my understanding, please? Investigate the temperature adjusters, UHI and AGW theory’s predictive skill. Well I say, this is rather embarrassing what? I tend to try to read key studies but as a layman their strengths and weaknesses are not always as obvious to me. Will you comment more in depth on this study later ? Having lived in the Portsmouth, Havant, Hayling Island and Emsworth areas in southern UK for almost 1/3rd of the timeframe documented, albeit a bit earlier, this analysis, pretty much, confirms my observations. There is nothing to worry about from sea level rise. Subsidence, on the other hand, due to natural and/or man-made influences, may be an issue in certain areas. Good paper and downloaded and printed. Thanks Anthony. These scientists will get no more money because their research throws the proverbial spanner into the AGW works. A great paper by Engineers who know what they are doing. Unlike some of the pseudo-climate scientists they discuss outliers and errors. It is another falsification of the models. The pattern of accel/decel has been obvious from a single glance at the graphs for a long time. Still, it’s good to see a journal accepting it for publication…. means the reviewers are finally allowing a few scraps of actual truth into the journals. Yes you are correct. Sea levels today are doing the same thing they have being doing for the last 20,000+ years and that is rising. The rate of rise is not increasing and this paper indicates (but not conclusively) that it might actually be decreasing. This goes to show the value of an honest broker who is a scientist. I shudder to think of the time when the satellite record may pass to the charge of dishonest persons such as those that have ruined the credibility of climate science. Yes, as you’ve assumed. Sea level continues to rise, but at a lesser rate. A lesser rate of rise seen from about 2006 onwards. If Greenland’s icecap and that of the Antarctic are melting at ever increasing rates, then one would expect to see sea level rate of rise increasing. The IPCC admits that it has “no evidence for any acceleration of sea level rise” yet I bet they found evidence pointing the other way. It’s simply is not going to plan. AGW made projections and some of the evidence seems to be pointing the other way. Temperature rise over the last decade has also stalled. In my last comment the last paragraph is not from the IPCC but from Simon Holgate, Proudman Oceanographic Laboratory, Liverpool. The first paragraph is from the IPCC. Why is this a surprise? Anyone who has ever looked at this chart http://en.wikipedia.org/wiki/File:Recent_Sea_Level_Rise.png knows that sea level change has been nearly constant for over a century and if there was any acceleration at all, it was slight and took place in the 1920s. It is this, along with the failure of tropical cyclone activity to increase as predicted http://www.coaps.fsu.edu/~maue/tropical/ and the fact that ice core temperature/CO2 data doesn’t support a high sensitivity of temperature to CO2 concentration that cause me to believe that the climate models simply can not be correct. That seems too many negatives for what is, after all, just a theory, to overcome. It looks like a good study. However concerns of future sea level rise aren’t based on the current rate or acceleration but the possible melting of glaciers in Greenland and Antarctica. There is little doubt major melting on these glaciers would rise sea levels. And which tide gauges are used. Allegedly due to the recent 9.0 Japan Quake much of the coast affected not just moved up to 8ft – 12ft sideways towards the USA but also subsided up to 1 to 2 meters downwards which helped to defeat some of their tsunami sea walls in some locations and enabled the tsunami to encroach further inland than otherwise would have been expected. Information alleged in the new documentary “Japan’s Tsunami, How It Happened 2011” (http://www.freshwap.net/documentaries/625490-channel-4-japans-tsunami-how-it-happened-2011-ws.html). Definitely worth watching. Excellent first ever close up live footage of earthquake cracks forming and ground moving back and forth due to liquefaction of the ground with liquid emerging from the cracks. So Japan or parts of it sinking is a sea level issue that will have to be properly adjusted for and well documented with new 3d survey data, not to mention new GPS location data. It will be interesting to see a 3d deformation map of the entire region as a result of the earthquake and the tsunami (which may have also scraped soil or deposited new surface material in various places complicating these computations). Japan’s Tsunami: How It Happened investigates the science behind the earthquake and tsunami. The programme follows Professor of Geological Sciences Roger Bilham – who arrived in Japan days after the earthquake struck – as he sets off to view the devastation from the air. The earthquake moved Japan 12 feet closer to the USA. The earth was knocked off its axis and the rate of the earth’s rotation was changed. This was one of the biggest earthquakes ever measured; the ground along the east side of Japan dropped by almost 10 feet, making the tsunami catastrophic. The documentary also follows renowned journalist Callum Macrae as he travels to the north, where the towns of Sendai and Ofunato used to be bustling fishing villages. Here he views the destruction first hand and meets the locals struggling to cope in the aftermath. Japan lies on the Pacific Ring of Fire where the Pacific Ocean plates meet the land. The ocean floor dives beneath the volcanic chain of islands that make up Japan. And when the tension builds up between the two plates the energy is released as a massive earthquake. The programme provides the science and analysis to explain why this happened where it did, and why it was so devastating, hearing from the scientists at the Pacific Tsunami Warning Centre in Hawaii who tracked the deadly wave as it raced across the pacific, and scientists at the Tsunami research facility in Oregon who study the dynamics of earthquake-generated Tsunamis. Since tax dollars are highly involved here the US Senate should investigate but it will take better people in the senate to have a real investigation. I searched for the “Journal of Coastal Research” at Google and got 173,000 results. Journalseek.net has it listed here. The University of Ulster has referenced it here. A US government agency has it listed here. The Woods Hole Oceanographic Institution has referenced it here. The journal’s articles are peer-reviewed and encompasses all subjects relevant to natural and engineered environments. Its archive prior to 2004 are available at JSTOR. JSTOR has been going strong sice 1993. It is not April Fools day yet my friend. This journal seems Kosher. My understanding is the same as yours. Sealevels have been rising for hundreds of years without anyobody really noticing. It is such a slow effect that periodic renewal of sea defences has been sufficient to render it a nuisance rather than a catastrophe. AGW catastrophists require the rate of rise to increase (accelerate), because otherwise there will be a collective vast shrug…if we could happly handle the current rate of rise in say 1750, why shoudl we not be able to in 2050 – with all the advances in enegineering and technology since then. So the fact that the rate of rise is not increasing, but decreasing, is yet another blow to the catatstrophist case. If sealevel rise is not something to metaphorically wet one’s knickers about, there isn’t much else left to scare people with. Does anybody know how much continental drift / expansion of our globes diameted impact the sea level? It’s great that a study has come out to confirm this. But it’ll be fairly easy for the warmists to argue that it doesn’t disprove anything. Afterall, the most catastrophic predictions are not so much about gradual sea level rises, but about step changes to sea level rises. For example, the Greenland icesheet melting into the ocean; or the WAIS melting. Those events would produce a step change. All this study does is show that those events haven’t happened yet. Therefore sea level continues to rise at a fairly un-alarming rate. I’m not sure it’s a bombshell either way. See this graph showing post glacial sea level rise decelerating then flattening. That would be +0.00 mm/y2 and definitely not -0.00 mm/y2. Do I need a /sarc here? What will the Fiddlestick Team over at Unreal Climate make of it? “I am a scientist who was on the carbon gravy train, understands the evidence, was once an alarmist, but am now a skeptic. Watching this issue unfold has been amusing but, lately, worrying. This issue is tearing society apart, making fools and liars out of our politicians. Dr David Evans consulted full-time for the Australian Greenhouse Office (now the Department of Climate Change) from 1999 to 2005, and part-time 2008 to 2010, modeling Australia’s carbon in plants, debris, mulch, soils, and forestry and agricultural products. I have said before that AGW is the biggest scientific financial SCAM ever perpetrated on the human race. Now I cannot remember where I read this but the gist of the argument is as follows: the deceleration in the rise below that anticipated by the modelers is because we have built large numbers of damns, reservoirs and other devices for storing large quantities of water thus masking the true effect. When we stop building damns, reservoirs and other devices those of us without buoyancy aids had better watch out! Ps: I may have offended any pedants out there. The correct spelling is dam. I find that report hilarious. 8 to 12 feet toward the USA? How about how far away from Australia? Or Timbuktu? There is a perfectly acceptable and usable metric that works wherever you happen to be, and it is in common usage: North, South, East and West! Re the last pot, the report is not hilarious, my apologies. The fact that The reporters believe everything has to ‘relate’ to the USA is, however. Sounds a bit like my mother. As usual, there will be no mention of this study anywhere in the MSM. That’s true, Mike. What you might remember is that 200 yrs ago we were just coming out of the ‘Little Ice Age”, as is clearly shown on the graph you presented. DMI’s calculation of the mean sea level around Denmark during the past 115 years. It appears from the data series, that the mean water level fluctuates up and down over 115 annual average, and that we are currently in a highwatermode, where the mean sea level for 2004 is 5.6 cm. above the 115 year average. Average water level was nearly 8 cm. above the 115 annual average in 1989, 1983 and 1967 – while it was 8 cm below in 1996 and 1941. No measurements since 2004 on their site – click on link to view the form. It is a sad reflection on modern science, but I guess the political landscape is changing and so a scientist wishing to make his/her name now counters the orthodoxy. Can we accurately determine a worldwide trend in sea level changes from gauges in one country? It isn’t just that one country doesn’t necessarily determine what is happening worldwide, but also that countries can have different rates of either rise or decline of coastlines. Louisiana has lost large amounts of coastline because the Mississippi no longer replenishes much of it with new silt, for example (because the river has been channelized by levees and now spills its silt only in the delta, rather than overflowing its banks as in the past). A gauge on the Louisiana coast, 100 to 200 miles west of the Mississippi delta, would show sea level rise of around 5 feet in less than 100 years. Contrast that with Bangladesh, where the huge rivers there continue to deposit so much silt from the Himilayas that the land mass in the delta is actually growing. A gauge there would say that sea levels are shrinking (relative to land elevation). Some parts of Scandanavia are still rising, rebounding from the weight of ice on them 15,000 years ago. Therefore, wouldn’t the best way to look at sea level trends be the U Colo sea level compilation from satellites? This methodology looks at actual world wide sea levels in absolute terms, rather than in comparison to various shorelines which may be rising or sinking for various reasons. Is this another “travesty” ? Anyone who lives by the sea already knows this. Yet, many of them deny what they see with their own eyes. Now I cannot remember where I read this but the gist of the argument is as follows: the deceleration in the rise below that anticipated by the modelers is because we have built large numbers of damns, reservoirs and other devices for storing large quantities of water thus masking the true effect. There is another counter effect that you may have missed last year. Wel up to a point Lord Copper. But whether the absolute depth of the ocean is 35,143 feet and 3 inches or 35,145 feet and 9 inches isn’t of much practical importance to Joe Public. The whole scare is supposed to be about that last 2’6″ and how it relates to the land. Personally I think its all a load of scaremongering BS. I walk across the River Thames in Central London every day to the sandwich shop, and see the tide go up and down about 14′ every 6 hours. If the peak is a couple of feet higher in 100 years, there are plenty of opportunities to put another three or four bricks in the river wall between now and then. One brick every twenty-five years doesn’t seem an insurmountable practical problem to me. For some reason there is a disproportional number of people with no common sense that have gravitated to the field of climate science. …and never make the connection that archaeologists have to go miles inland in order to excavate an ancient seaport. Even if this will help debunk the AGW theory, the EPA is still bent on enforcing new carbon rules on the US industries and this just proves they are out only for control and money. Until these fools are voted out, the US will continue to suffer from the changes they are enforcing. It’s not a bombshell to the AGW crowd. Anything contrary to their religion is ignored. Same with any ‘landmark’, ‘bombshell’, ‘seminal’, ‘key’, or any such agrandising adjective paper. Why are people so good in one area seemingly bad in others? If they know enough science to study sea level changes and write cogently about it, why are they unable to grasp that we do not have a net warming over the last 100 years, with now being warmer? As the temperature peak was in the 1930’s and we are cooler than then now, it stands to reason that the main or most rapid sea level rise occurred back then and now is less rapid. As the world gets warmer, it expands, and hence has a higher surface area over which to spread all the oceans, and this precisely cancels out the expected sea level rise acceleration! “For some reason there is a disproportional number of people with no common sense that have gravitated to the field of climate science. It’s the wonderful, huge, luxurious funding! They are rolling in dough! Anybody wonder why studying climate takes billions when other sciences are nearly all in the single digit millions? This is not politicized science, this is purchased science. This is a very interesting paper! Thanks for posting it here. I have often wondered why the alarmists tend to stay away from providing any current data to support their claims for rising sea levels — they stopped measuring it when it went against the narrative. 7 years and counting… I can only imagine the panic among the hysterics as time and again the planet continues to prove them wrong. Does anyone have a link for the paper with color? Melting glaciers will raise sea levels and warming temperatures will cause the water to expand, so sea levels will rise if the earth’s temperature increases. It’s like a giant thermometer that measures earth’s temperature. Maybe the thermometer is telling us the earth isn’t warming as fast as the warmers say it is. Many thanks Anthony – got the paper downloaded, spotted the point and, I must say this looks a very tidy piece of empirical work. BarryW: Thanks for the link. Could you please explain what units the figures are in? Bob, if you have 5 gallons a minute going in, after you build the dam and it’s full, don’t you still have 5 gallons a minute going out…………..
Do they have a spaghetti plot where they show whether the gauges are high or low during various periods? 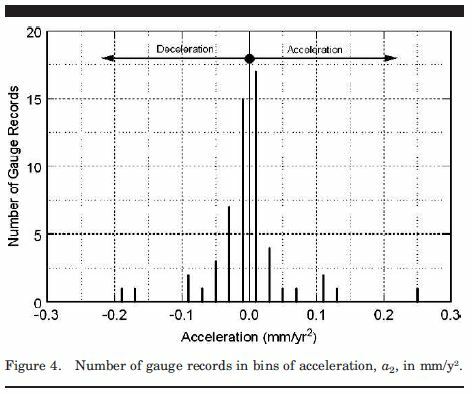 In other words, are some gauges showing consistent acceleration/decelleration, or, is the acceleration normally distributed even within each gauge over 10 year periods? Probably because there hasn’t been a “worldwide” temperature increase. Temp has certainly increased in cities and near AC exhaust outlets, but rurally, not outside the error bands. The assertion in the article that sea level rise acceleration isn’t happening despite a ‘global temperature’ rise is inaccurate, as the ‘global’ temperature rise simply can’t be supported by the evidence. I wrote this article with Verity Jones last year, illustrating that a proportion of areas have been cooling for a statistically meaningful period of at least 30 years. 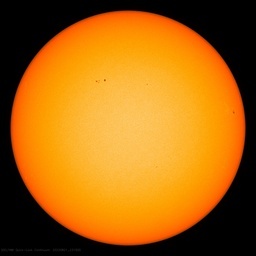 Add in UHI- which blights a proportion of other records- and the overall temperature rise-where observed – is very gentle and can be traced back to 1607. I also communicated personal;ly with Simon Holgate of Proudman Observatory regarding his paper, in which he observed that the rate of sea level rise in the second part of the 20th Century was less than the rise in the first half. He agreed this was correct but asked me to point out that statistically there was no difference. In other words there is no sign of acceleration throughout the 20th Century and this latest article updates those observations. Thanks for finding this Anthony. Aside from the stable sea level, I am glad someone put a number on irrigation. I calculated a number from UN estmates of irrigation, probably inflated, and came up with ~2mm/yr. Even 0.8mm/yr is a significant dent in the ‘catastrophic’ sea level increase. One of the most absurd aspects of the catastrophic argument, from my perspective, is that tenacity to hold onto the catastrophic view in spite of no acceleration. Year after year this perspective became more absurd because each year it continued thus, meant that the coming acceleration would have to be more extreme to catch up with the failed prognosis. Wow, a paper that uses maths that I can follow! It is clear and concise! (only 9 pages) but seemingly very well referenced. There are a couple of statements that stood out to me as I gave it the first quick read. These may be points of contention for some. I haven’t looked at glacial rebound enough to make any statements, but it was my impression that it effected inland more than coastal, but that’s only the impression I have. Excellent paper! I can’t wait to hear the howls! But as we stated all along the seas will recede before they overflow. This is known as the tsunami effect. It works along the same lines as the blizzard effect. You know, the one that says heat generates cold and snow. You deniers just don’t get it do you? The fact is that we can’t account for the lack of rising sea levels at the moment and it is a travesty that we can’t. What rubbish. You’re not supposed to use all those inaccurate tide gauges, the IPCC switched to the more easily fudged – I’m sorry I mean more accurate, satellites a while ago. Mike, I believe the warmers have already said that there is massive ice melt on greenland and antartica and that the glaciers are disappearing at some extraordinary rate because of CO² global warming. All of which means that we should have seen an accelerating sea level rise as mentioned by the IPCC reports. Correct me if I’m wrong, but if damming, etc. holds back the equivalent of 0.54 mm/year of sea level rise, but groundwater withdrawal and irrigation contribute ~0.8 mm/year of sea level rise, doesn’t this kind of wash out to near zero on the sea level rise issue due to human actions on land-based fresh water management? If so, then the recent 2005-2008 (-2010?) sea level rise deceleration still needs to be explained somehow outside of human water use. It couldn’t be due to natural variability/oscillations, could it? As for damming/reservoirs/etc., this is kind of a one-off deal isn’t it? Holding back water for human use leads to drawoffs of water (which is why these structures were built to begin with) which leads to discharges of water back into nature in the near term. Humans have been doing this for over a century and a half, the Yangtse Dam nothwithstanding. So dams and reservoirs shouldn’t really have a long term effect on sea level. Which means the non-acceleration or deceleration of sea level rise can’t really be written off due to dams and reservoirs. So what’s it due to? Natural variability or oscillations? Sounds right. Latitude asks: If you have 5 gallons a minute going in, after you build the dam and it’s full, don’t you still have 5 gallons a minute going out…………..
No, as lots of the water diverted by people is for drinking, irrigation, and other stuff that does not get back to the sea, but returns to the air directly. James Sexton “……measurements were in good agreement up until 1999 and then began to diverge with the altimeters recording a significantly higher sea-level trend than worldwide-tide gauge records.” Was there not an entry in WUWT about them adding the 1.6mm per annum although recordings indicated no increase because it was expected or something like that? I am sure there was something about adding annual increases in sea level even although the satellite data did not support it. Perhaps there is an answer here. Year after year this perspective became more absurd because each year it continued thus, meant that the coming acceleration would have to be more extreme to catch up with the failed prognosis. Furthermore, as each year goes by without acceleration, they keep harping on about IF Greenland melts and IF Antarctica melts. But we keep our eyes on what the IPCC has said and realise that as the years go by their forecast looks more and more unlikely. Could someone else please get the Jason data and make it publicly available. There’s raw data available at this site. Since 1900 the length of day (LOD) fell by ~ 4ms, i.e. the Earth is rotating fractionally faster now than in 1900. Consequently the centrifugal force would also fractionally increase, pulling the ocean surface outwards, mainly in the equatorial regions. Not much, but few mm is not much either. But it’ll be fairly easy for the warmists to argue that it doesn’t disprove anything. After all, the most catastrophic predictions are not so much about gradual sea level rises, but about step changes to sea level rises. Jerry, the difference is that worldwide, people are still building dams. China just completed it’s 3 Rivers Gorge project. I recently read of another big project nearing completion in Chile. On the other hand, many smaller dams are being removed here in the US of A. If the so called climate scientists would simply come to Florida and look at the water levels and gauges, instead of concocting imaginary measurements with their computers, this would not be a bombshell. Grown men and women who base their lives, reputations, and beliefs on computer models rather than on reality are traditionally called geeks, nerds, and dorks. But, then, they probably think they’re in the Matrix, so it doesn’t matter…. Water that goes into the air, doesn’t stay there very long. It quickly rains back out. It’s a wonder why we can’t declare AGW theory officially bunk junk science. You know what I predict. Alarmists will find a way to account for this analysis. They created spin for the wintry conditions of the last three years. Whats to stop them with this bombshell. want to make the job any easier. Gosh, what a wonderful time we live in. No, as water used for drinking is urinated into toilets, goes to sewage plants and eventually ends up mostly at sea. Irrigated water does evaporate but some gets washed into rivers which end up at sea. Some of it goes into the water table which may be extracted for drinking and irrigation. Was there not an entry in WUWT about them adding the 1.6mm per annum although recordings indicated no increase because it was expected or something like that? I’m embarrassed to admit this, but it seems to have escaped me. While I don’t read every posting here, I usually pick up on things such as arbitrarily adding imaginary numbers. But then my memory isn’t what it used to be either. Looks like the authors of this report have been thinking along the same lines as we were (note their Figure 6 and this World Climate Report article)! I wonder how these satellites can claim resolution at 3mm when the orbital accuracy is 2 cm. Basing corrections for the data on more models is dubious at best but massaging the data is always a good gig if you can get it. Just ask the Team. The Poseidon Altimeter on the JASON satellite can measure the distance to maybe 5cm. Using the GRACE satellite for corrections?? WUWT?? Anyway, for those that remember their Greek mythology, Jason was sent on a quest for the Golden Fleece.. aka CAGW. In fact, if you recon that the Pleistocene ended 15,000 ybp, and that sea level reached modern levels 6,000 years ago (it didn’t), and that the change was approximately 140 meters, then the average rise per year about 15 mm, so 17 mm/y is a trivial difference. However, the evidence from many locations including Tasmania, Micronesia, Brazil and Texas indicates that sea level had reached a high stand about two meters above the present stand about 8,000 to 7,000 bp and has declined some since. That level and interval would have seen a average rise of about 18 to 19 mm/y, which does not include the effects of the Younger Dryas which saw increased ice cover. In fact then, between the end of the Younger Dryas and and the Early Holocene high stand the rates of rise would be even greater, possibly as much as 30 mm/y. The difficulty lies in successfully sorting eustatic changes and isostatic effects. According to Dr. Hans Ahlmann, a Swedish geo-physicist, a mysterious warming of the Arctic climate is melting the Arctic ice, including the vast Greenland ice-cap……….”The Arctic change is so serious that I hope an international agency can speedily be formed to study conditions on a global basis” he said. Exactly as one would expect from poleward shifting air circulation systems. For some time I have been pointing out that the poleward drift ceased around 2000 and since then a more equatorward drift has been gradually and erratically establishing itself despite increasing CO2 concentrations. I wonder when the ‘experts’ will catch up? There is indeed an adjustment that sometimes is incorporated into presentations of global mean sea level. My google-fu isn’t quite up to snuff this morning so I wasn’t able to track down any specific number, but it may be the 1.6 mm that John Peter referred to. The adjustment is to correct for the assumed lowering of mean sea level that occurs as the formerly ice-laden continents rebound due to isostasy. Tectonic adjustments are necessary for data from tide gauges because the point of reference (the shoreline) may be moving up or down. For satellite seal level data, the application of a glacial isostasy adjustment (GIA) means you’re no longer in the world of reality but instead in the world of matematical models. Instead of calculating what the mean sea level IS, one is calculating what the mean sea level MIGHT BE were the continental crusts not moving, assuming (a big IF) that the adjustment due to the GIA model is accurate. So when it comes to global mean sea level, you have to know what the underlying assumptions and adjustments are. If you see a plot that claims to show sea level rise due to global warming, it’s safe to assume that half of the alleged rise is an artifact of this particular adjustment. “I wonder when the ‘experts’ will catch up? A couple of years after the billion dollar funding stream is turned on to study that. Having lived in the Portsmouth, Havant, Hayling Island and Emsworth areas in southern UK for almost 1/3rd of the timeframe documented, albeit a bit earlier, this analysis, pretty much, confirms my observations. The remains of the lock on the east side of Portsmouth are still there (used to moor small dingies now) and a complete lock, still holding water, can be seen near Chichester. At high tide the sea laps against the stonework much as it must have done almost 200 years ago. In fact, I’d say it’s probably LOWER now than then. Sea level rise? It’s all relative (quite literally). There could just as easily be a net positive effect into the oceans of ground water rather than this perceived massive reduction of water into the oceans from irrigation etc. Most of the water used in rich countries is temporary – it comes into your home clean and it leaves your home dirty. What is lost is going to be a small fraction of the total amount, especially considering a typical toilet flush (which no doubt is additive if you’ve been eating and drinking). Think of all the aquifers being pumped out, add back the waste water and I would bet the difference isn’t worth debating. One problem that I have often encountered is that most people (and many scientists) confuse everyday language and scientific terms. Acceleration is one that is abused (confused) most often (spontaneous reaction is another). Anyone who has taken first semester physics, even without calculus, or first semester calculus, should well know what is meant by acceleration. However, the fraction of the general public who has studied these disciplines or remembered them is fairly small. Even if they remember the definition of acceleration, many cannot actually apply that knowledge. How can something so simple be abused? Quite easily when people don’t think for themselves. Along with sea level change (very tricky – I just read the other day that the Japanese earthquake caused a global rise of 2 mm), representation of CO2 concentration is plotted in the same graph with the rate of CO2 emissions with axes adjusted so that the two curves overlap. Add in temperature and you have a trifecta. (1) Why is it warmer in the summer and colder in the winter? Most often wrong answer is that the sun is closer in the summer. (2) What is meant by acceleration? I have found that if someone can answer both of these questions, I can usually have a decent conversation about the science. If they cannot, I can only discuss politics (everybody is an expert!). I’m pasting this from a post I wrote 10 months ago. Current sea level rise of the last 100 years has nothing to do with global warming. No, as lots of the water diverted by people is for drinking…….. The only conclusion I can draw from your post is that you are contending that we are all p#ssing in the wind. This is in direct contravention of the accepted theory that, the River Thames water, after passing through at least three people, finally reaches the North Sea. And of course any older person living in a coastal area can plainly see these facts. There’s been no visible change in sea level in my lifetime, and I’ve always lived near the Pacific ocean. And if there was some tiny change in sea level, it would easily dealt with on human time scales. Humans move due to erosion and other natural forces all the time. There’s no great alarm as long as the change happens slowly over tens of years. The hysteria crowd has been selling a change in sea level that is laughably great. Much more the kind of thing from a Hollywood movie, and much less reality. 20 ft in 10 years? LOL. Even 2 ft in ten years is LOL. I doubt that other than meteors, tsunamis, and other sudden violent natural phenomena that there has ever been a time where sea level has changed on a human time scale as to warrant any human panic. These processes of glaciation, etc. just take far too long for any kind of human notice. Even 20 years seems a pace that would be unearthly fast, an yet more than adjustable to by humans. Am I missing something here or is this not just ridiculously obvious. I can’t believe we even have to have this debate with these chicken littles. Gives fear-mongers no cause to revel. Till alarmists have gone to the devil. I wouldn’t call this a bombshell. It has long been know that if you plot the graph you get a straight line. All this does is verify and certify that the line really is straight. What sea level rise? Except for the temporary tsunami or hurricane induced swell, the sea level rise over the past 100 years is a crashing bore. A snail moves faster than that. In geologic timescales, it might be more important to note where the continental shelves presently lie as the median point of sea levels. Presently underwater, that would indicate what level is consistent with the Ice Ages, where Earth has spent 80% of it’s time in recent geologic epochs. Plan your port relocations offshore, and beat the competition. Good question. If the globe is actually warming, then the sea level rise must accelerate because of thermal expansion. Is that correct, or am I missing something? But this paper shows that the rise is slowing and they give lots of supporting evidence. I’m beginning to question past pronouncements that global warming is even happening. There’s sure a lot of money being paid out to people who say it is, isn’t there? Looks like a depiction of vertical motions of tectonics, consolidation and subsidence due to extraction. So adding a decrease in the rate of sea-level rise (which was not by much anyway) to the less than problematic melt in Himalayan Glaciers and the recovering snows of Mount Kilimanjaro, the Flooding in OZ being caused by a dam management error and we are getting a much broader global signal of climate change which is much more moderate than the alarmists claimed. In fact one could even state with a high degree of certainty that climate change is well within normal range of natural variability. The sort of natural variability which has been occuring for millenia. Natural climate change always has and always will occur. Why should we even attempt to tackle it? Maybe it has something to do with the fact that only urban areas have been warming. Most oceans lie ourtside of city limits. Random, ever heard of the southern hemisphere? So you're only half right. Lastly…overlap all you want. One thing I learned in 6th grade science was correlation does not imply causation. Might want to rethink your questions. “Satellite observations available since the early 1990s provide more accurate sea level data with nearly global coverage. This decade-long satellite altimetry data set shows that since 1993, sea level has been rising at a rate of around 3 mm yr–1, significantly higher than the average during the previous half century. Coastal tide gauge measurements confirm this observation, and indicate that similar rates have occurred in some earlier decades. In agreement with climate models, satellite data and hydrographic observations show that sea level is not rising uniformly around the world. In some regions, rates are up to several times the global mean rise, while in other regions sea level is falling. Substantial spatial variation in rates of sea level change is also inferred from hydrographic observations. Spatial variability of the rates of sea level rise is mostly due to non-uniform changes in temperature and salinity and related to changes in the ocean circulation. So, for example. The paper cited in this post appears to have focused on the US. Near-global ocean temperature data sets made available in recent years allow a direct calculation of thermal expansion. It is believed that on average, over the period from 1961 to 2003, thermal expansion contributed about one-quarter of the observed sea level rise, while melting of land ice accounted for less than half. Thus, the full magnitude of the observed sea level rise during that period was not satisfactorily explained by those data sets, as reported in the IPCC Third Assessment Report. During recent years (1993–2003), for which the observing system is much better, thermal expansion and melting of land ice each account for about half of the observed sea level rise, although there is some uncertainty in the estimates. if it continues to warm, we know the sea level will go up ( in places) how much is the question. ice sheets increases…” should be 20 cm? over 110 years from 1990 to 2100, …” should be 19 cm? Random, ever heard of the southern hemisphere? I lived in Boulder from 1972 to 1983 and was registered as a student at the U. of Colorado for most of that time. The concept of CU researchers measuring sea level conjures up an image of grad students leaning out of upper-story windows in Gamow physics tower, dropping lines into the water. Well, Random’s question works regardless of which hemisphere you’re in. It’s just that summer is in July in the Northern and in January in the Southern. It is believed that on average, over the period from 1961 to 2003, thermal expansion contributed about one-quarter of the observed sea level rise, while melting of land ice accounted for less than half. Mosh, your charts stop 8 years ago, in 2003. This paper goes up to 2010, 7 years after your chart stops. Since sea levels have not risen in the past few years, you got a newer chart? Glad to see that they didn’t cooked the books, but this reads like they were really trying to find acceleration. Maybe for the reason others have suggested, to get funding. This is actually not new. Chao, Yu & Li (Science, 11th April 2008) proved that sea level rise had been linear for at least for the last eighty years, with a slope of 2.46 millimeters per year. Theirs was the sea level rise corrected for all water held in storage by every dam built in the world since the year 1900. You don’t need to be rocket scientist to figure out that for a century this amounts to a little under ten inches, not twenty feet that Al Gore is dreaming about, or any other number that is periodically trotted out by various climate “scientists.” I am glad that these guys were able to publish because of the hold warmists have on scientific publication these days. How can sea level rise not be accelerating when it is one of the great truths of the Doom Twins, Hansen and Gore, that sea level rise will accelerate due to global warming? It’s always good to see data on a time scale appropriate to questions of eustatic sea-level, rather than short-term “trends” that impress rank amateurs in the science. Because of its location, however, sea-level fluctuations off Denmark are more indicative of run-off in the Baltic basin, than of global levels. I was going to say the same thing. One mistake might be forgivable if its subtle but if they cant get the introduction right the I suspect the rest of the paper is going to be rubbish too. Global warming is causing the rate of sea level rise to decelerate because the warming is even worse than we predicted. As the earth gets warmer more water evaporates from the oceans, making the rate of sea level rise decelerate. However, this will lead to increased precipitation over the polar regions, leading to increased melting of the arcitic, which will make the flooding if the shorelines even worse and kill millions of polar bears. This is another clue that catastrophic sea level rise is a ruse, but it’s not enough to convince me fully since at first glance I don’t see spacial consideration. If a hundred tide records were located along a coast that was expanding upwards, tectonically and due to vulcanism, and another hundred were scattered randomly over the planet, then a strong rise in sea level would not be detected in their histogram. Maybe there is something to the idea that the temperature rise in the last century has been greatly overstated? Well duh. Most everybody on here except Mosh has come to that conclusion. I mean don’t forget that the temperature ten years ago is already a few tenths warmer than it was back then and getting warmer every year. And the temperature 60 years ago is a few tenths lower now than it was 10 or 11 years ago and getting cooler. Subtract the negative tenths from the positive tenths and there ain’t much actual warming left to melt any ice that wasn’t already in the process of melting from the LIA warmup. Throw in some tenths to account for bad siting and some more tenths for UHI effect and maybe the decline in the treemometers isn’t so far from the actual temperature trend after all. Our MET says (1) there is no long-term trend, and (2) a 20-year oscillation is evident. OT, but we are still having a hard time with the Fukushima nuke plants. Hope things are getting better in coming months. If the world were warming, the ice would be melting. If the ice were melting, the sea would be rising. The sea is not rising. Therefore the ice is not melting. Therefore the world is not warming. Really, I don’t see what all the fuss is about. Seems simple enough to me. Again, what in the hell do these guys have to gain for lying like this? @ David Archibald and others looking for recent Global Mean Sea Level data …. Aviso, http://www.aviso.oceanobs.com/en/news/ocean-indicators/mean-sea-level/products-images/index.html has data into early 2011. There are multiple versions of data available, with and without inverse barometer corrections, seasonal signal removal. and global isostatic rebound corrections. Face meet Palm – So Trenberth’s heat is still missing??? There is a new GMSL dataset from Church and White now available at CSIRO. The Houston and Dean paper, the subject of the headpost, analyzed the Church and White 2006 and 2009 datasets, but the 2011 dataset was only recently released. They found deceleration from 1930 through 2001 of -0.0066 mm/y2. For the 2009 update, they found increased deceleration 1930-2007 of -0.0130 mm/y2. For the most recent update the data has been changed so that the deceleration from 1930 through 2001 had dropped in by about 40% to -0.0039mm/y2. 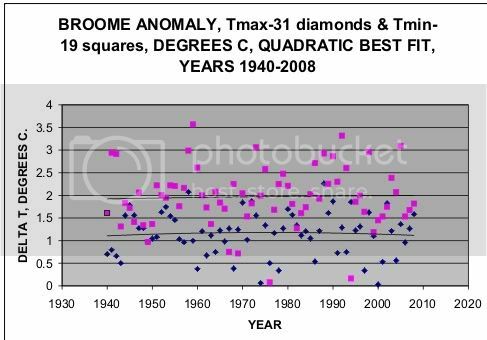 What was once a relatively sharp change of slope around 1930 has become less evident with each successive data update. For the 1930 through 2009 period, GMSL now shows an acceleration of +0.0036mm/y2. you’re see major variability. Note also, that sea level varies WAY MORE than temperatures. So, people who complain about the fact that there are only several thousand temperature sites, should HARDLY glom on to a study that looks at less than 100 stations, all in the US and all on the coast. acceleration. Its about the future rise and where it will occur and what we can or should do about it, if anything. In the last 7000 years, sea levels have been pretty stable, rising about 2m (2000mm) in that time. The rate of rise averages out to 2000/7000 ~ 0.3 mm/year. Oh, and with the dams argument, its got nothing to do with flow in and flow out – just the total volume of dams (i.e. the water is in the dam, not in the sea), which I rather imagine is increasing. The satellite data from Jason shows deceleration. If the rate of deceleration remains constant for the next 100 years (89 until 2100), then the sea levels will peak in 2025 and will drop almost 40 cm in 2100. This what happens when you lose control of the publication syndicate – those emails continue to bear fruit. John Kehr — I’ve done a similar analysis using more recent satellite data, as well as the various versions of Church and White tide gauge derived GMSL. Depending upon the dataset and the period of analysis chosen, the projected 2100 sea levels varied over a wide range. Quadratic fits (with acceleration terms) are very sensitive to small changes in the data. Using the entire satellite record my calculations show -0.048mm/yr/yr. ; peak sea level in 2069, at a global mean sea level 85mm above present sea level. 2100 sea level will be 61mm (6.1cm, or less than 2-1/2 inches) above present sea level. Linear extrapolation for the entire satellite record is 295mm rise by 2100. I was posting the comparisons on a Accuweather climate change blogpost about GRACE measurements and accelerated ice melt. So I used the same 2002 start point as some of the ice measurements. 2002 to present satellite records of GMSL have deceleration such that peak sea level would be reached in 2047 at 49mm above present levels, and 2100 would be 54mm below today’s levels. I also used 90 years of tide gauge record to extrapolate 90 years into the future. The quadratic fit to 1919 to 2009, extrapolated to 2100 projects a GMSL in 2100 that is 214mm above todays level. The linear extrapolation from 1919-2009 is for GMSL in 2100 to be 160mm higher than present. As can be seen above, between different data sources and different period over which to calculate the trend, and whether the trend fitting is linear or quadratic results in a wide range of global mean sea level predictions. In particular the quadratic fits are very sensitive to data changes. We should remember that when looking at papers that do a quadratic fit to the GRACE ice mass loss measurements, and then project huge sea level increases from an ever increasing ice melt. Here is the official Bureau of Meteorology temperature record for 40 years at Broome, with a tiny amount infilling by me to make Excel graphing easier. There is no sinister or fashionable end deletion on the graphs – I simply started the graph in 1968 because that was 2 years after decimal units came to Australia, and it finishes when I graphed it at the end of 2008. The picture seems to be rather flat, n’est-ce pas? Sometimes I wonder why a graph like this does not falsify global warming. BTW, I am not hypothesising that local sea level acceleration is related predictably or usefully to adjacent temperature level. I’m simply pointing to coincidences, an accumulation of which can lead to incorrect conclusions in the minds of people lacking hard data. However, for the naval paper here, I’d be reasonably sure that there would have been thermometers at each tide gauge station. I wonder how they would compare with the HadCRU, NOAA, GISS etc temperature records? You’re giving up too easily. Just because the earth is nearer to the sun in the SH summer doesn’t mean that’s why the summer is warmer than the winter. Rob Z. is the one that ought to be worrying about correlation and causation. Have you people stopped to consider that perhaps this is all because President Obama waived his magical wand or something? and deceleration is a decrease in the rate of decreasing temps? LOD is better than any global sea level study, and it has decreased 2ms in the last 40 years, which suggests not only decelerating of sea level increase, but actual decrease of sea level–at least the effect of rebound has overtaken any effect of current melting, strongly suggesting we are seeing the effects of the end of the LIA. The southern amplification of seasonal sea level variation is caused by the annual drift northward of the lithosphere’s center of gravity due to all the winter snow. Likewise melting of Antarctic ice would cause an increase in northern sea level and a decrease in the south as the center of gravity moves northward. But is any such effect detected? As for the poster who suggested LOD should make the equator bulge, he has the cause and effect backwards: the shape of the earth determines LOD, not the reverse. The effect of diminishing groundwater, terminal lakes, artificial lakes, etc., is miniscule, but the falling Caspian and depleted groundwater overwhelm the effect of dams, slightly increasing sea level. As for its effect on LOD of course, the latitude of each body of water must be taken into account and compared with the average moment of inertia of the ocean surface–63 degrees as I recall. Snow in the northern hemisphere has little effect on seasonal LOD since so much of it falls so far south of that 63 degree average. But it does affect northern and southern sea level differently. From learning of sea levels rises not accelerating, to Kilamanjaros’ returning snow cap to record cold and snow throughout the northern hemisphere, to Steve McIntyre’s further debunking of the hockey stick illusion, can we now just honestly admit out loud that AGW climate theory has to be one of the greatest failures and embarrassments of the modern scientific establishment? This is not rocket science, for sure. 1. Isn’t 2006 a bit late to have made it into AR4? 2. How do you peer review an update? Aren’t all IPCC’s reports supposed to be based on peer review. Could it have anything to do with the fact that Church was one of the contributing authors? Sorry – I should have referenced http://www.ipcc.ch/publications_and_data/ar4/wg1/en/ch5s5-5-2.html. There it is in all its glory. The paper by Houston has no new data in it. The same tide gauge data has been analyzed before. What is new here, is the analysis. Figures are given for the average acceleration since about 1930. This neglects the fact that the average acceleration is a misleading measure of the history of ocean height since that date. The following paper, by Church, not referenced by Houston, shows how the rate of rise has changed during the 20th century. I see perception bias is rife, as always. Look at figure 3B which tracks the rate of increase in ocean height over a centerd running 20 year period on a year to year basis. The rate of rise accelerated between 1920 and 1950, then reduced when industrial aerosals reduced global warming, and then accelerated again through the mid 1990’s when the data ends. Figure 3A, which shows the ocean height as a function of year, shows the effect of volcanic eruptions and El Nino’s as well as the halting of global warming by industrial emissions of aerosals in the 1950’s until the late 1970’s. It also shows how choosing an initial year as 1930 can make the tide guage data show a negative average acceleration. It seems to be a case of cherry picking. Rather than a bombshell, when the data is examined more closely, the Houston paper is a dud. What this shows is that an 70 year average accelerations obscures what is happening to influence the rate of rise of the oceans. Comments on Houston and Dean, Journal of Coastal Research. This paper takes a somewhat limited view of sea-level change. Mostly, the analysis seems reasonable, as far as it goes and would appear to agree with Church and White (2006, 2011). They start off by implying changes in the rate of sea level change can be used to infer future rates of sea level change, but provide no evidence to support this assertion. They then say Church and White (2006) have an approximately linear rise since 1930 and therefore we will analyse data since 1930. They find a small negative acceleration for a number of gauges since 1930 and in the Church and White GMSL estimates. This would also be consistent with the deceleration around 1960 reported in Woodworth et al. (2009). I suspect the deceleration in Church and White (2006) since 1930 is not significant. We have no real reasons to doubt these limited results. They seem to dispute the satellite altimeter record and dismiss its implications. However, there is no real basis for this. Their statement about the tide gauges being used to correct the altimeter data is incorrect. They are used to monitor it, but not to correct it. They confuse the various issues surrounding terrestrial water storage. The climate related phenomena discussed by Llovel et al. (2010) and Ngo-Duc et al. (2005) have little impact on long term changes in sea level but rather have some (relative small decadal variability). However, this is not true for the terrestrial storage from dam building and the probably smaller and counteracting (with a different time profile) affect of aquifer depletion. They also ignore our (limited) understanding of the reasons for sea-level change and its acceleration, the impact of volcanic eruptions and of course all of the paleo evidence which indicates an acceleration in the rate of rise from roughly 1850 to 1920 (Gerhels 2010). I agree with their final conclusion that we do not understand all of the issues and that we need to understand the sea-level accelerations better. Only a fraction of water consumed by humans or other animals is urinated later. The rest is exhaled. Try breathing on a cool mirror, and you’ll detect the effect! Poor paper using a terrible methodology, shouldn’t be published. Since they’re retired it’s only their reputations that will suffer. Judging by this paper they don’t know what they’re doing, I would have thought that a ‘model-phobe’ would have seen through it instantly, assuming a quadratic model for sea level rise and reporting the quadratic coefficient as the rate of acceleration is a really poor method! GIGO I’m afraid. Seems reasonable, it is on the North American plate after all. Like I said, Chao, Yu & Li (2008) had it about right: sea level rise for the last 80 years or more was linear, with a slope of 2.46 mm per year. Is there any information on whether Denmark is rising? Average mass of human say 60kg. So 252m cubic meters, say a quarter of a cubic kilometere in total. Sea volume 1.3 billion cubic kilometers . .just sayin’.